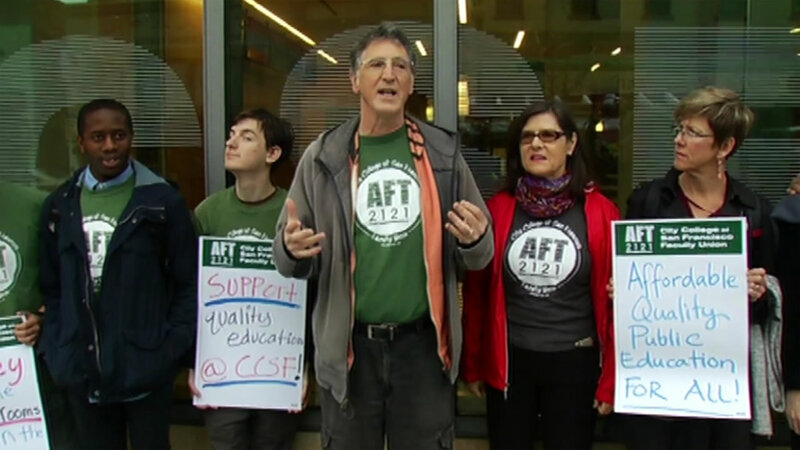 SAN FRANCISCO (KGO) -- Faculty members have said they'll walk off the job if they can't get a new contract with City College of San Francisco. Ninety-two percent of union members voted to let their leaders call a strike. Thousands of full and part-time instructors teach at City College. They've been without a contract since last July. The dispute centers on pay and the vision for City College's future. "They have put on the table the idea that we are going to have a college that, in over six years, will be cut by 26 percent. That means that students are not going to be able to have classes," Faculty Union President Tim Kikkikelly said. CCSF released a statement saying it's "finding a way to restore salaries and to offer raises, while maintaining the long-term financial sustainability of the college."